Contents: Preliminary algebraic background; Chain relationships; The absolute homology groups and basic examples; Relative omology modules; Manifolds and fixed cells; Omology exact sequences; Simplicial methods and inverse and direct limits; etc. Differential forms provide a modern view of calculus. They also give you a start with algebraic topology in the sense that one can extract topological information about a manifold from its space of differential forms. It is called cohomology. The text follows the content of a fairly typical, two-semester, first course in topology. Some of the topics are: the shape of the universe, configuration spaces, digital image analysis, data analysis, social choice, and, of course, calculus. Introduction to algebraic geometry for students with an education in theoretical physics, to help them to master the basic algebraic geometric tools necessary for algebraically integrable systems and the geometry of quantum field and string theory. Contents: Important examples of topological spaces; Constructions; Homotopy and homotopy equivalence; CW-complexes and homotopy; Fundamental group; Covering spaces; Higher homotopy groups; Fiber bundles; Suspension Theorem and Whitehead product; etc. These notes provide a brief introduction to topological groups with a special emphasis on Pontryaginvan Kampen's duality theorem for locally compact abelian groups. We give a completely self-contained elementary proof of the theorem. The purpose of this text is to make familiar with the basics of topology, to give a concise introduction to homotopy, and to make students familiar with homology. Readers are expected to have knowledge of analysis and linear algebra. This book provides an account of the triangulated theory of motives. Its purpose is to introduce Motivic Cohomology, to develop its main properties, and finally to relate it to other known invariants of algebraic varieties and rings. The author discusses several exciting topological developments which radically changed the way we think about many issues. Topics covered: Poincare duality, Thom isomorphism, Euler, Chern and Pontryagin classes, cobordisms groups, signature formula. This is not an introductory textbook in algebraic topology, these notes attempt to give an overview of the parts of algebraic topology, and in particular homotopy theory, which are needed in order to appreciate that side of motivic homotopy theory. Contents: Topological and Metric Spaces, Homotopy Exquivalence, Fundamental Groups, Covering Spaces and Applications, Classification of Surfaces, Simplicial Complexes and Homology Groups, Homology Calculations, Simplicial Approximation, etc. A thorough treatment of homology operations and of their application to the calculation of the homologies of various spaces. 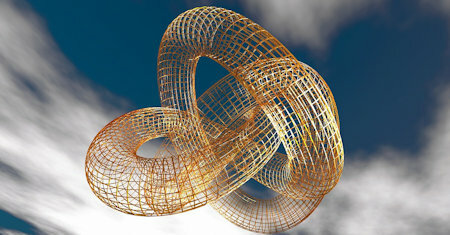 The book studies an up to homotopy notion of an algebra over a monad and its role in the theory of iterated loop spaces. This book provides a detailed treatment of algebraic topology both for teachers of the subject and for advanced graduate students in mathematics. Most chapters end with problems that further explore and refine the concepts presented. Introductory text suitable for use in a course or for self-study, it covers fundamental group and covering spaces, homology and cohomology, higher homotopy groups, and homotopy theory generally. The geometric aspects of the subject are emphasized.